Light plays a central role in the physiology and ecology of plants. Plants use light both as a resource, via photosynthesis, and as a source of information. It has long been observed that artificial light at night has biological impacts on plants in urban settings, but such effects have rarely been quantified empirically. 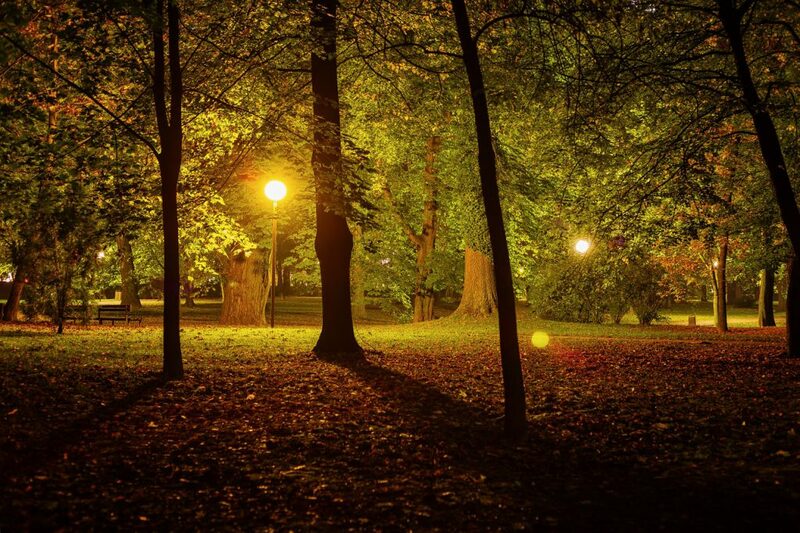 Street lighting, for example, can through direct illumination cause some urban trees to retain their leaves longer, affect flowering and yields in crops, and alter flowering and growth form in ornamental garden plants. These effects could in turn produce changes in abundance, biomass and species composition. The physiology, behaviour and ecology of herbivores and pollinators are also likely to be impacted by artificial light. Our research has found impacts of artificial light at night on ecosystems, plant species, and associated herbivores and continues to investigate plant responses to artificial light.